Munich is a part of the Romantic Jewels of Europe which consists of the regions of Bavaria, Tirol and Salzburg and their gorgeous Alps. I’ve been to Tirol and Salzburg and will share those photos with you on another occasion as I’ll like to focus on the Munich part of the journey this time round. 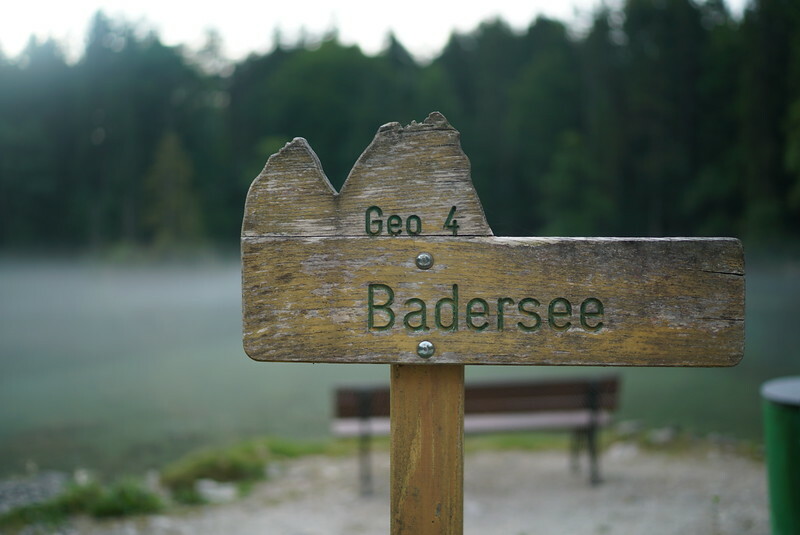 You would have probably read about the reasons why you should visit Munich in my previous post and in this article I will not only be sharing more reasons, I’ll be showing you the wonderful lush beauties of nature that Munich have to offer in the places I visited. An hour out of Munich city center and you are in the alpine regions. I was here in the summer but if you are coming in winter, you will be able to enjoy skiing and snowboarding in these parts. 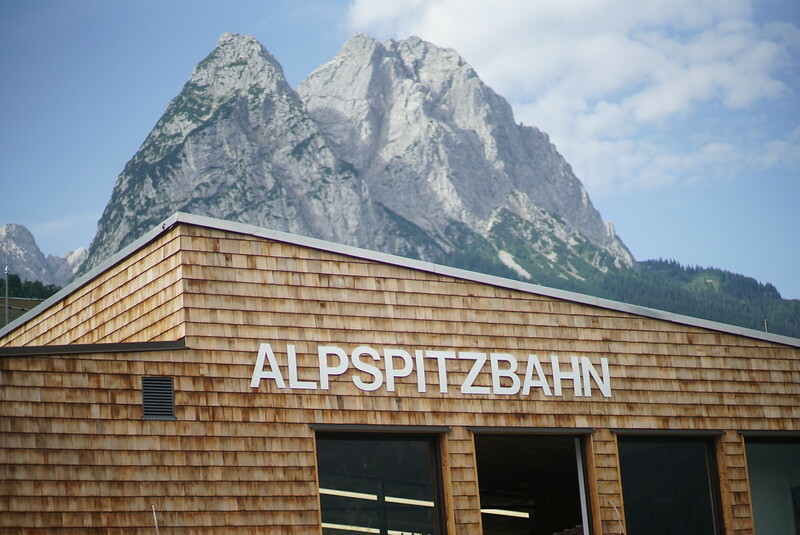 My first stop was to Alpspitze where we traveled by train and cable car to the 2628m peak. Although it is not the highest mountain, it is very impressive due to it’s steep north face. 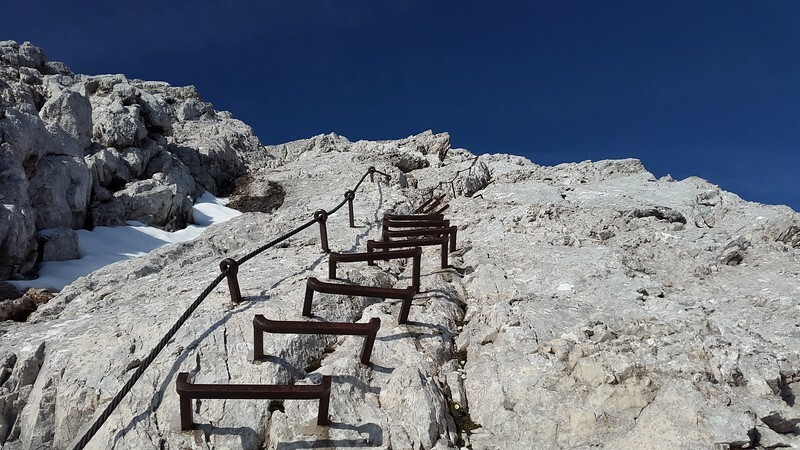 You can climb from here to Zugspitze but despite its’ popularity among climbers, do note that it is a long and difficult climb that requires both fitness and experience. 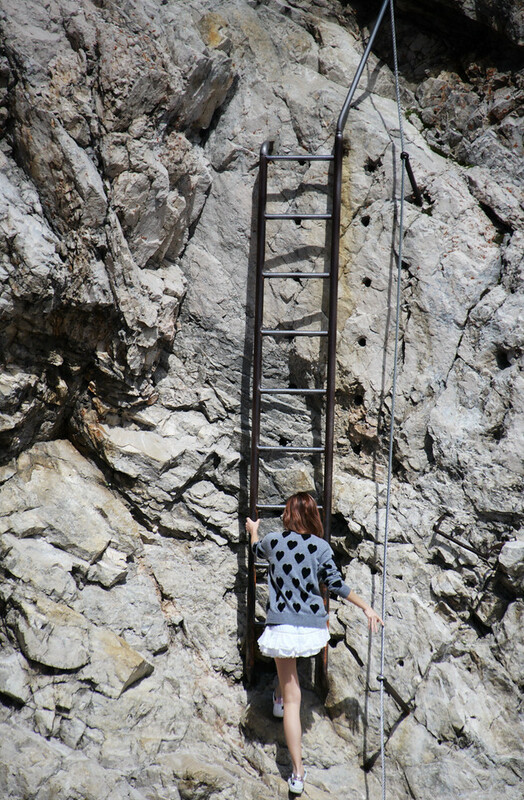 At the top of Alpspitze is a viewing platform (AlpspX ) that gives you the feeling of walking out of the cliff’s edge. 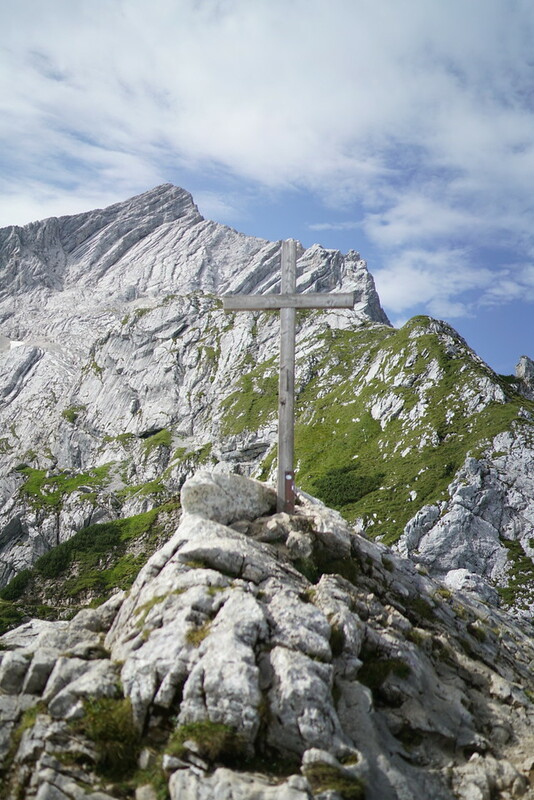 All the peaks of mountains in the area are marked with a cross and the one on Alpspitze’s peak is a brown wooden one which is just a short hike up from the cable car station. 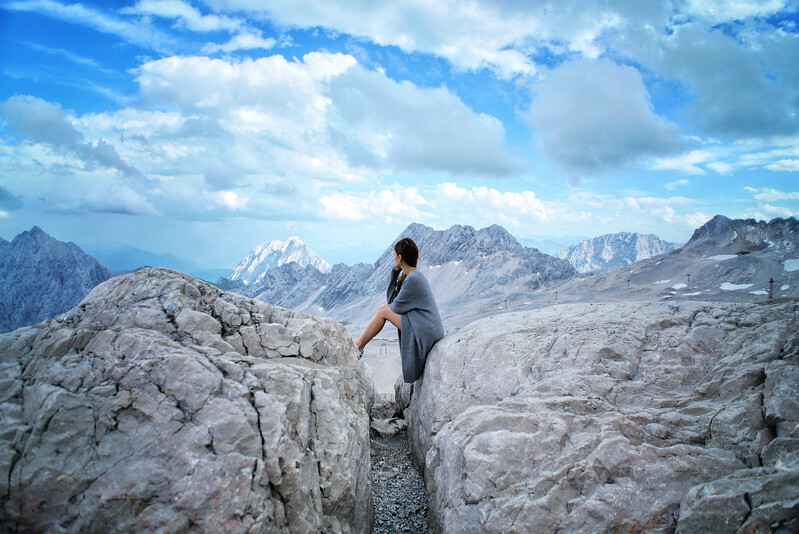 There is always a lot of people on Alpspitze due to the ease of traveling up there through cable car so if you really want to enjoy the majestic mountain without much crowds, your best bet is to hike up in autumn when the cable cars are close. 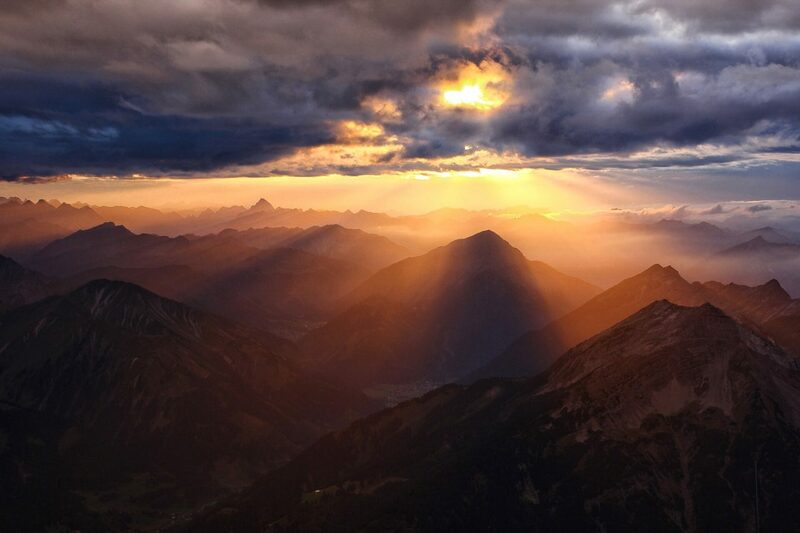 At 2962m above sea level, this is the highest mountain in Germany. 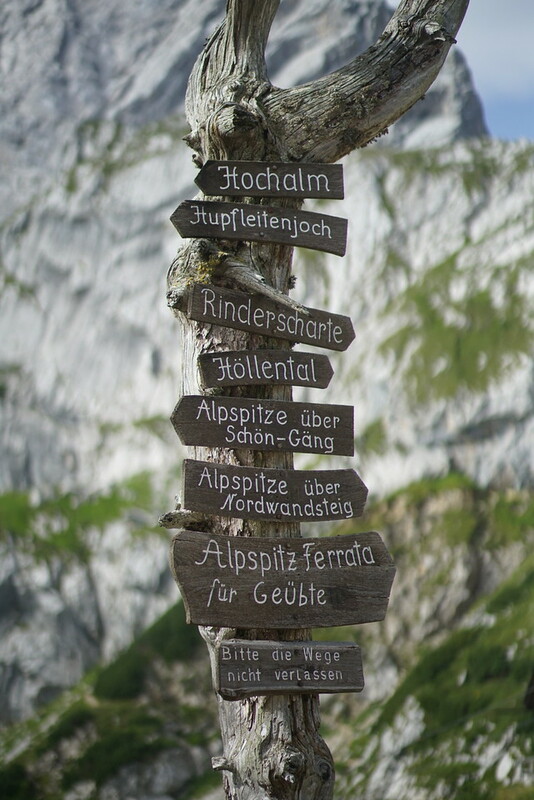 On the western summit you would even get to see and ‘cross’ the Germany- Austria border. There used to be a border checkpoint at the summit but, since Germany and Austria are now both part of the Schengen zone, the border crossing is no longer manned. 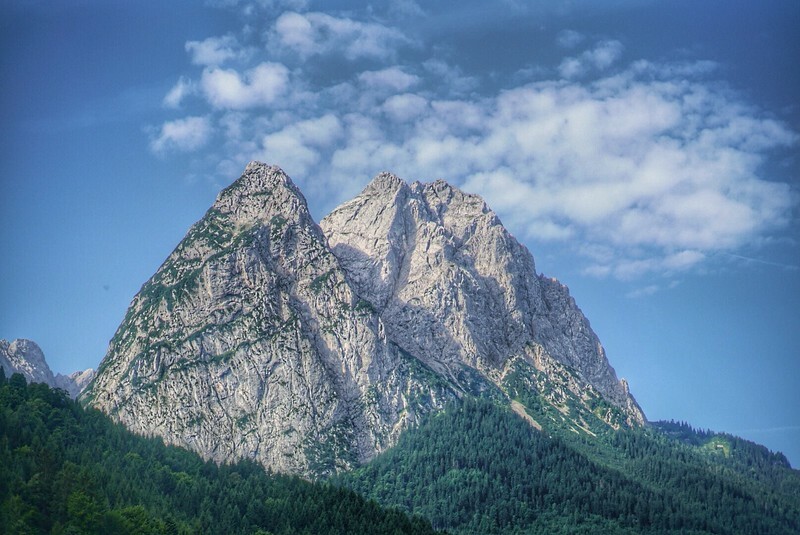 It’s a grandiose mountain with a unique 360° panorama including more than 400 peaks in four different countries – Germany, Austria, Switzerland and Italy. Avid climbers might choose to hike up. It takes one to two days but the very fit can do it in a few hours. 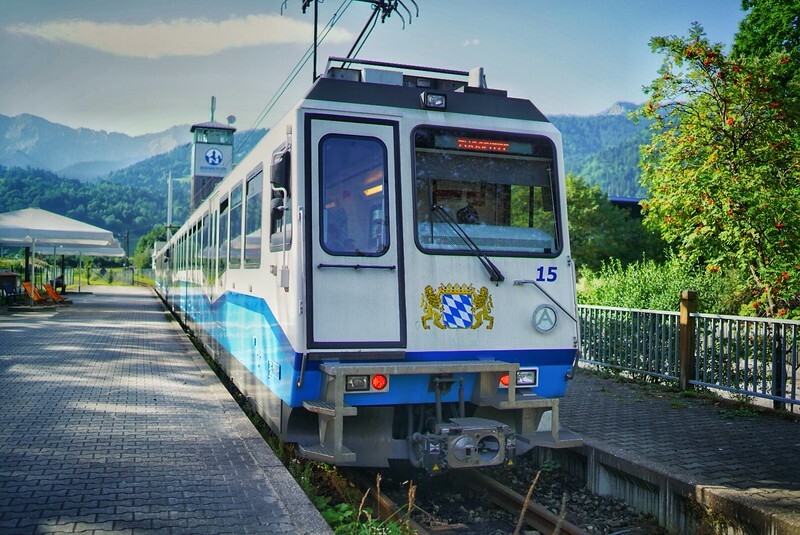 If mountain climbing is not something you feel strongly about, you can take the cogwheel train from Zugspitze station Garmisch-Partenkirchen to the idyllic Lake Eibsee then transfer to a cable car. In the winter, you might choose to take a ski lift to the ski areas instead. 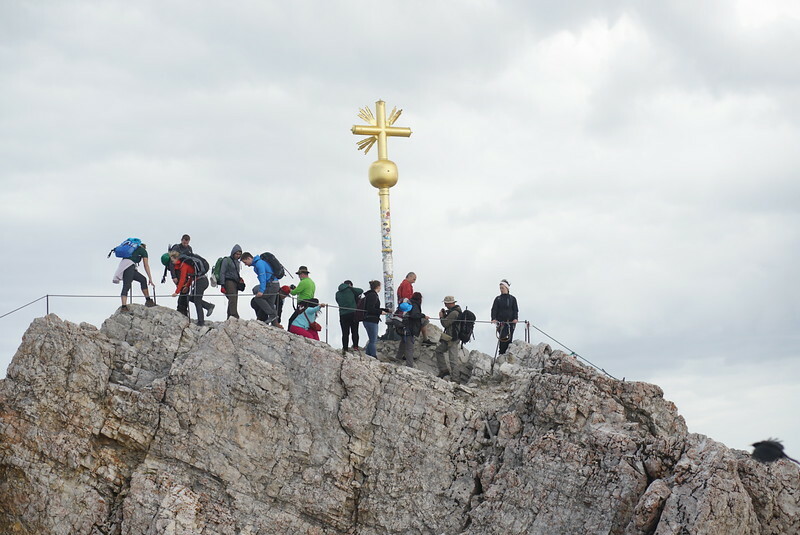 However, to reach the Golden Summit Cross that marks the Eastern peak of Zugspitze, you would still need to climb a little. It’s a crowded path and I had to wait for my turn to climb at each section because the narrow path is used both for climbers going up and those coming down. The golden cross you see there is actually a replica of the original cross which was put up in 1851 as the original was damaged beyond repair by the American soliders that used it for target practice in 1945. Other than the views, there are a few restaurants and eateries up there and you can go tobogganing at any time of the year! 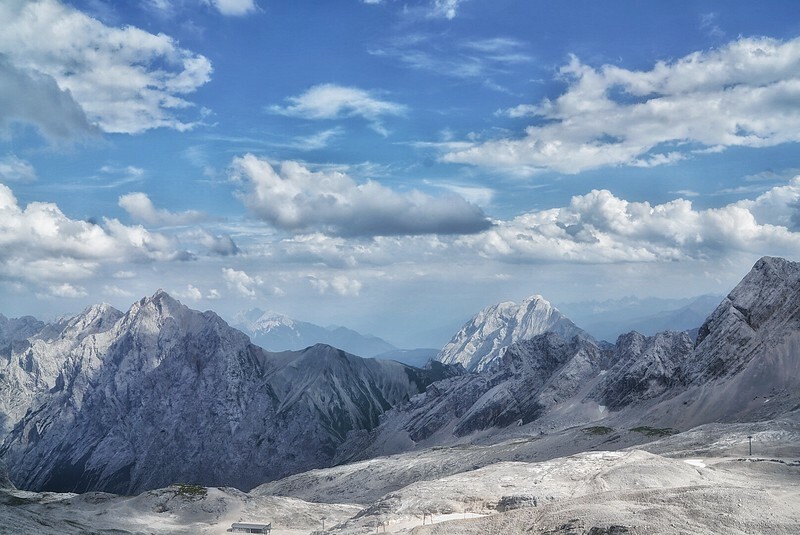 On the flanks of the Zugspitze are three glaciers, including the two largest in Germany: the Northern Schneeferner with an area of 30.7 hectares and the Höllentalferner with an area of 24.7 hectares. The third is the Southern Schneeferner which covers 8.4 hectares. 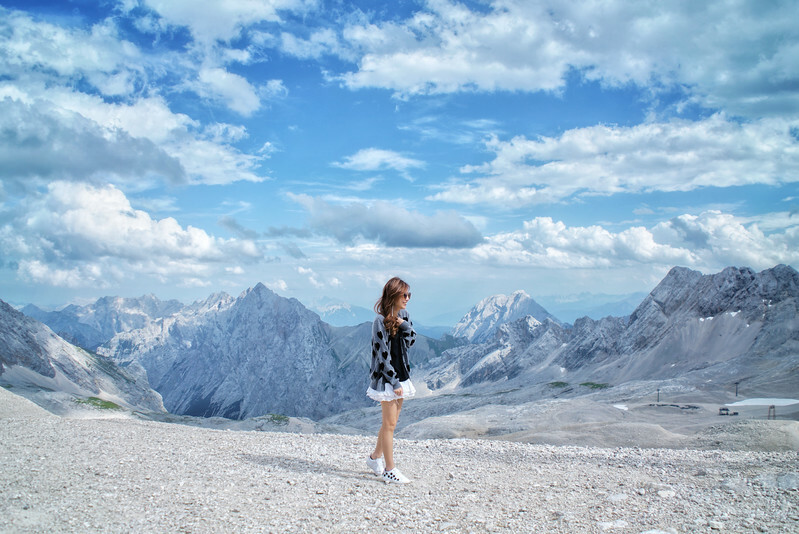 Tip: Mountain weather is usually unpredictable and the weather from Zugspitze can range between 17C to -35C so layering is key. The weather was about 10C when I was there but a week later my friend shared with me a live cam feed that showed it was snowing heavily up there. 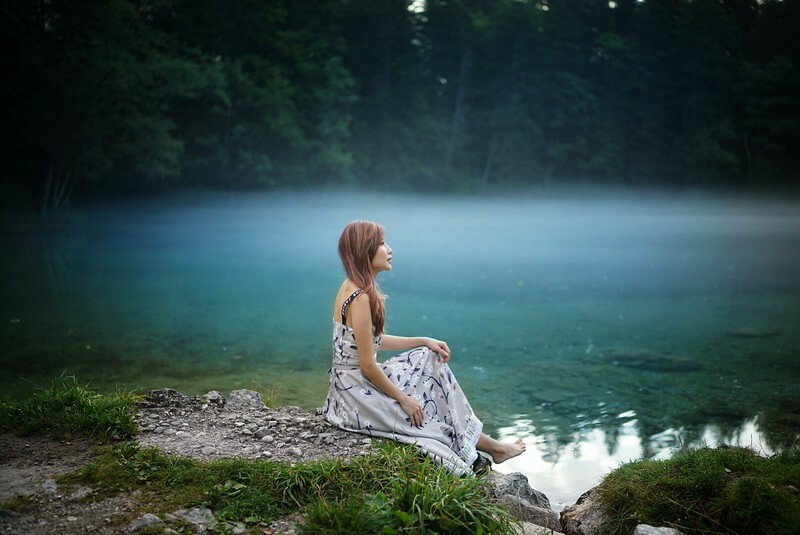 A retreat away in the serenity of nature, it is a tranquil environment for you to recharge. 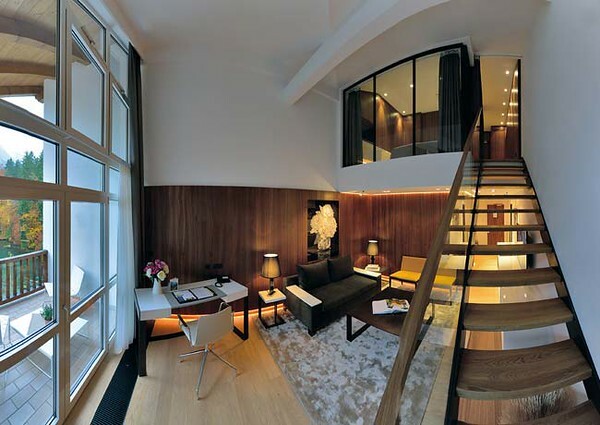 The most impressive thing about this hotel is the amazing view. 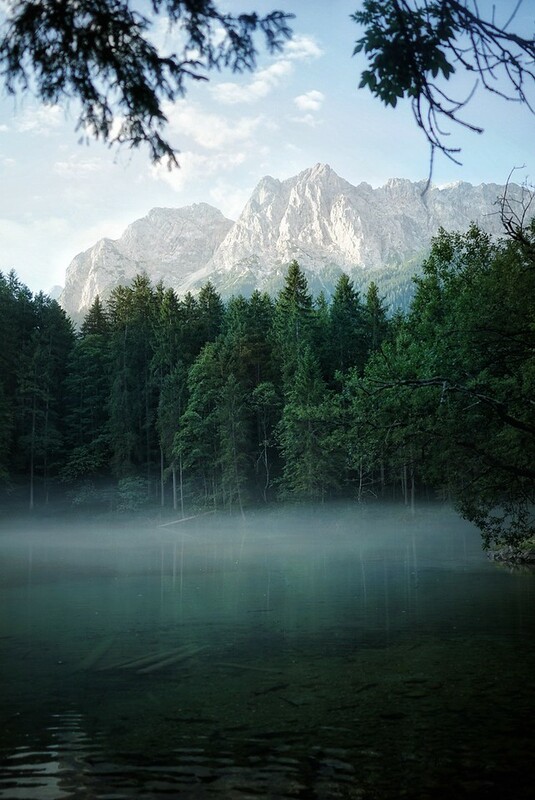 Overlooking the view of the crystal-clear Lake Badersee, pristine forest and the Zugspitze massif, Riffelspitze and Waxenstein peaks, it’s hard not to fall in love with nature. While the most basic Landhaus Komfort rooms are great if you spend most of your time outdoors like I did, I still highly recommend taking a lake view Mansionette Suite so you can wake up spectacularly to the incredible landscape. 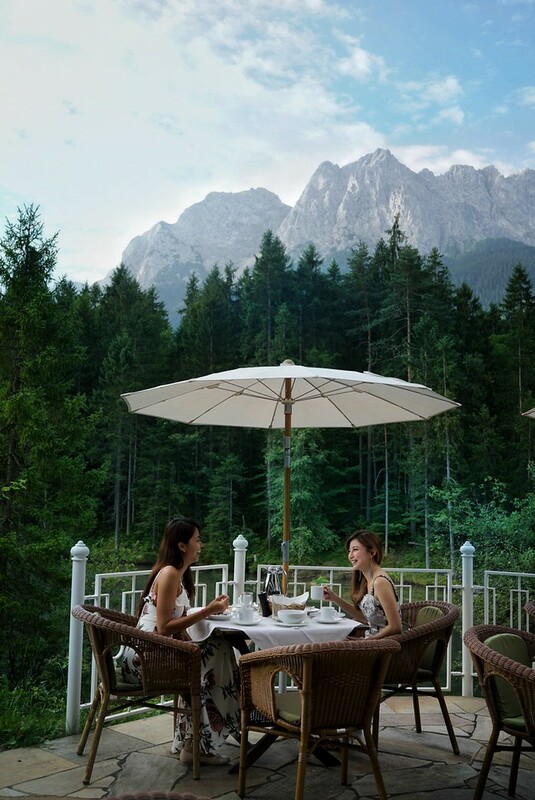 I regretted not finding enough time to pay the hotel’s spa a visit while I was staying there but I did spend time exploring their forest and just admiring the view of Zugspitze in the early morning by the lake. I had dinner and breakfast at Werdenfels Restaurant that has a paranomic view of the area. Over dinner I was treated to a musical performance with the alphorns which is a type of unique alpine instrument used by mountain dwellers. 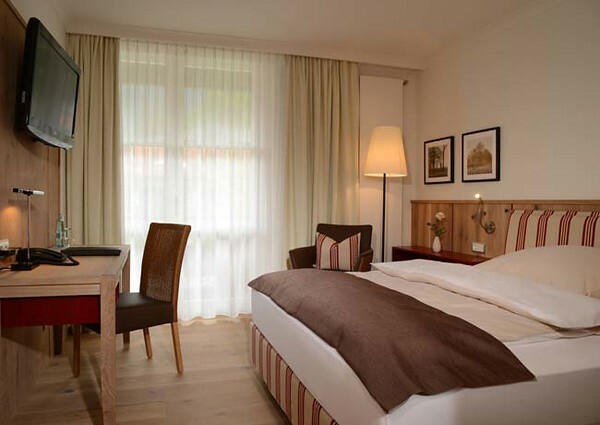 For more information, you can visit the Hotel Am Badersee website. 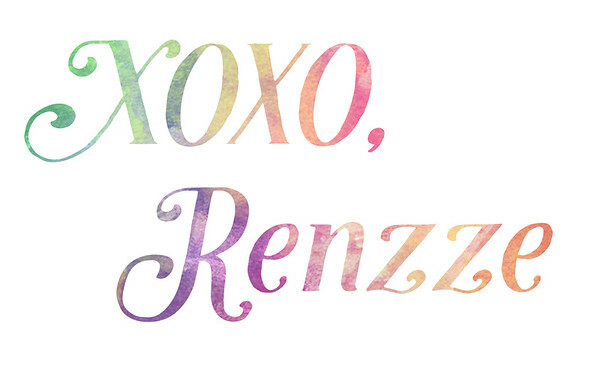 Fairytales are seriously made of these. 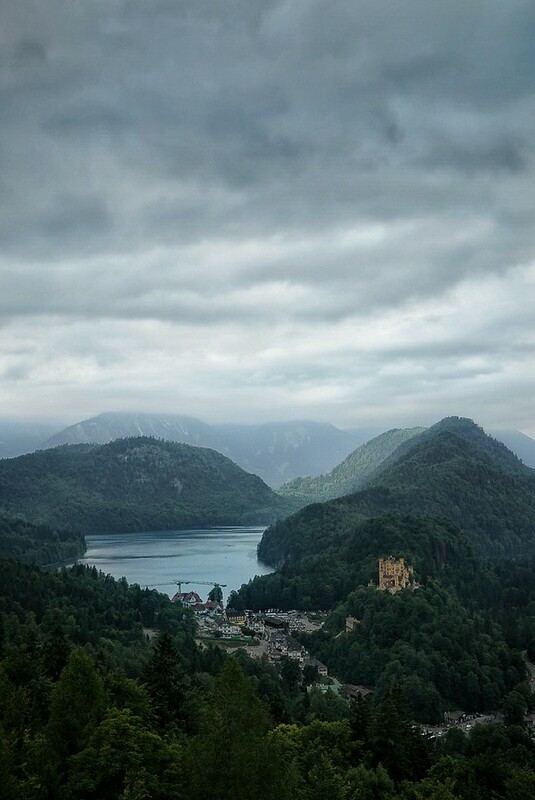 The Neuschwanstein Castle was built by Ludwig II of Bavaria, a shy king, who wanted to have his dream home away from the public eye. 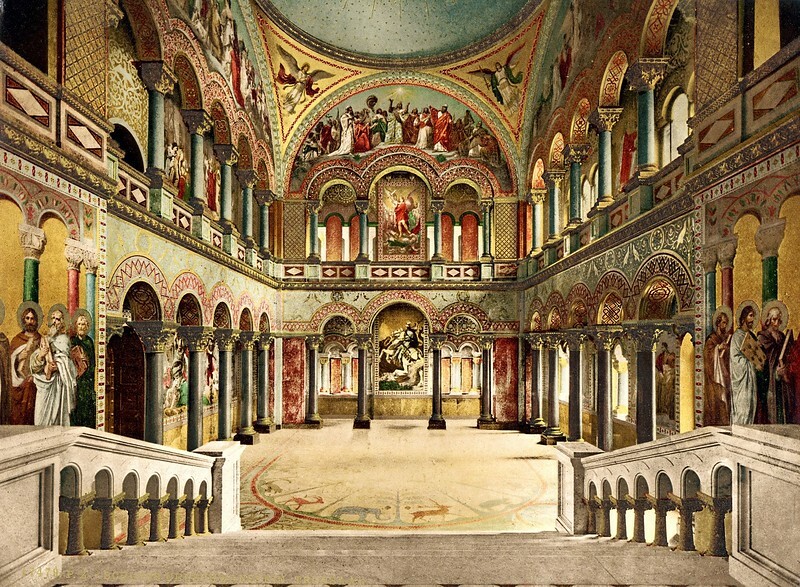 Admirably, he built this nineteenth-century Romanesque Revival palace on a rugged hill out of his own fortunes without touching Bavarian public funds. Ironically, just 7 weeks after he died, the castle was open to the public and is currently one of Europe’s most visited castle with about 1.4 million visitors each year. 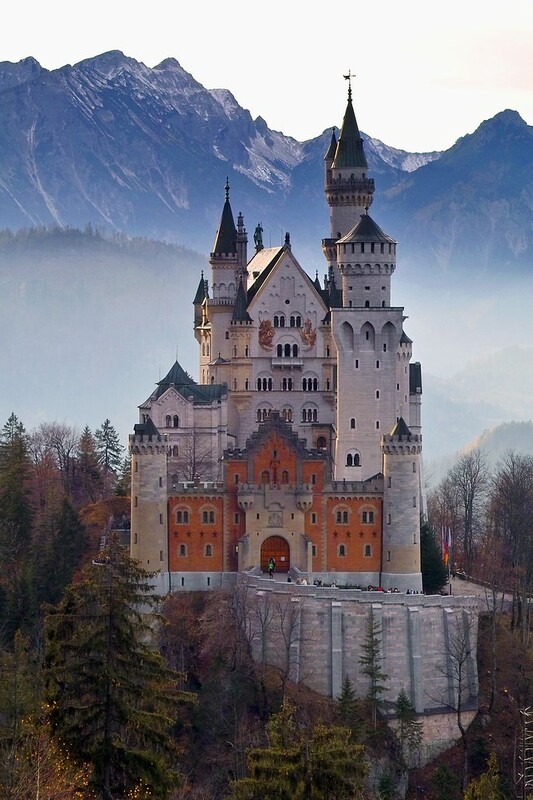 It is from this very castle that Disney drew inspiration for Sleeping Beauty’s castle. Photography is not permitted inside the castle especially when you are on tours in to the various completed rooms. Besides, there are throngs of tourists everywhere which makes it tough to capture a nice clear shot anyway. The only photo I have inside the castle was taken at one of the uncompleted hallways. 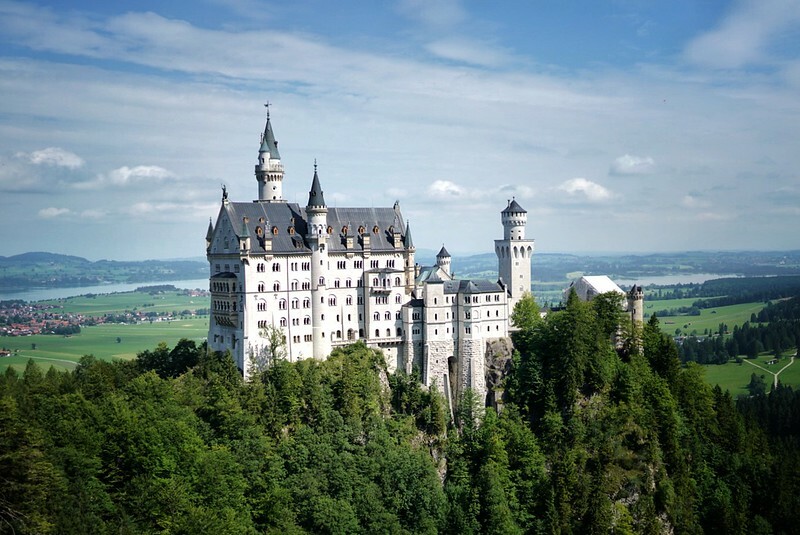 The King, a huge fan of the operas, built the castle intending to showcase a romantic interpretation of the Middle Ages as well as the musical mythology of his friend Richard Wagner. He was involved every step of the way in every small detail and the castle is regarded as his creation rather than any of the architects he hired. It’s a pity he only lived 172 days in the castle before he died. Had it been completed, the palace would have had more than 200 interior rooms, including premises for guests and servants, as well as for service and logistics. Ultimately, no more than about 15 rooms and halls were finished of the 200 rooms as no one continued the castle’s development after his death. Even though Ludwig II overdrawn his resources in his madness to build his dream castle, by opening the castle to the paying public, not only did the throne quickly balanced all the finances, it became the single largest income source earned by the Bavarian royal family in the last years prior to 1914. I was blown away by the details of the Throne Hall especially the mosaics on the flooring. The artist impression that I’ve shown here is not even close to the wonders of the actual room and should be seen in person. There is a souvenir shop and a cafe in the castle and the view of the surrounding area is pretty picturesque too. Tip: Reserve your tickets in advance online as the queues can be a little crazy. Ticket sales are processed exclusively via the ticket centre in Hohenschwangau but the queue for those that reserved in advance are so much shorter. All exploration of the castle are only possible with at 30mins guided tour though you can stay in the castle longer after the tour at the cafe or at the lookout points. 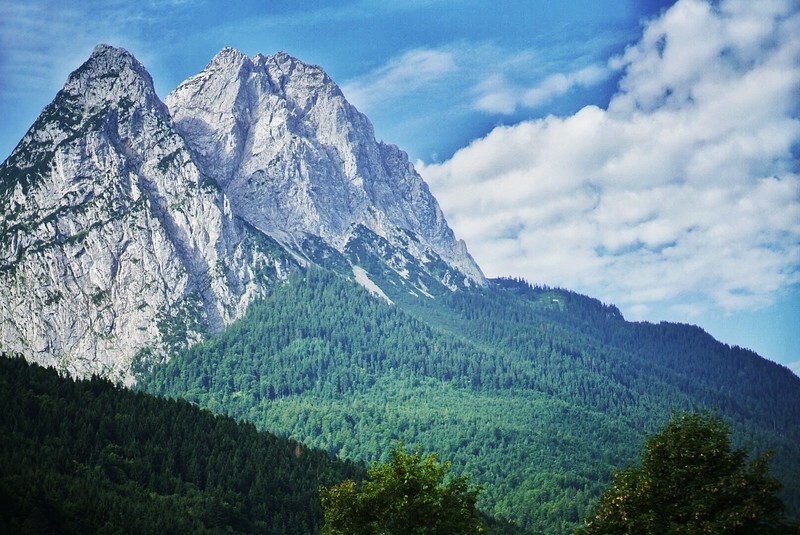 If you have time you can continue south of Bavaria to cross the border into Austria to experience Tirol and Salzburg, the birthplace of the great composer W.A.Mozart and location of the movie “The Sound of Music” . 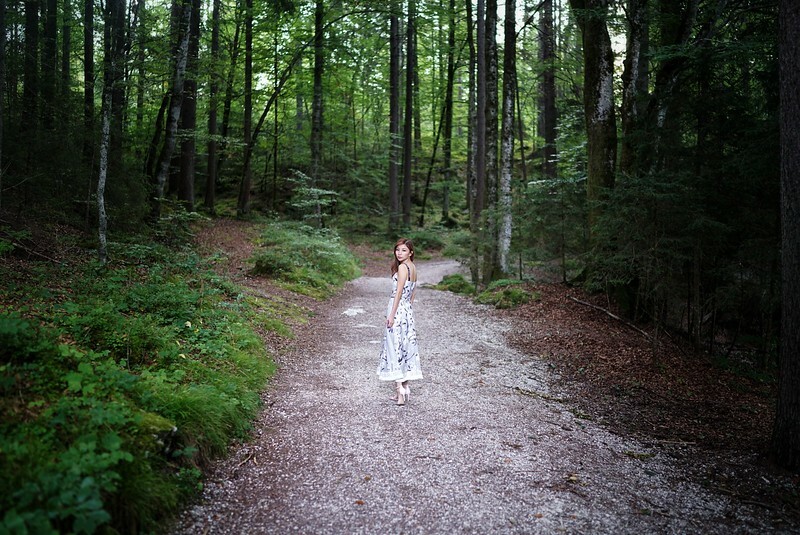 Meanwhile, I hope you enjoyed the photos and recommendations for traveling in Munich. Previous Post Why visit Munich?